Strawberry spinach salad with almonds, arugula and a homemade poppy seed dressing with fresh thyme. Sometimes all you need is a big salad, and other times all you need is a bucket of fried chicken, it depends on the circumstances. Based on my most recent posts, you can tell that I’ve been on a bit of a salad kick. Hence the two salad recipes in a row (I posted my chopped salad with blue cheese vinaigrette last week). I think it’s the warmer weather and just the fact that a salad is a pretty mindless and simple dish to throw together. Plus, is it just me or do you always feel better about yourself after eating a salad? My life has been a little all over the place recently. As always, some good and some bad. But that’s how it usually goes, doesn’t it? The good stuff is that things have been ramping up with my blog, which is always exciting! I have a few fun things in the works this summer and fall. Another fun thing? I just moved into my first apartment! I have almost finished moving in all my things, so I’ll share more about that next time. 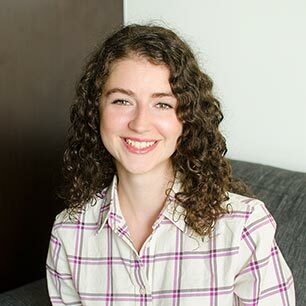 I don’t like to write about any of the not-so-great things, but I know we all agree that life isn’t easy and is full of things that are completely out of our control. I’m the kind of person who loves to be busy, and I find that for me, working and keeping busy has always been the best way to work through anything. It’s nice to have something to focus on and put your energy towards. I remember in my fourth year of university, I was really struggling with a couple of really hard things. Having my thesis to write was such an important project for me to focus on. Another good thing on the horizon is the summer and warm weather. We had a bit of a rainy weekend here in TO, but this bright and fresh salad is the perfect way to start your week. Sweet strawberries, peppery arugula and tangy goat cheese. 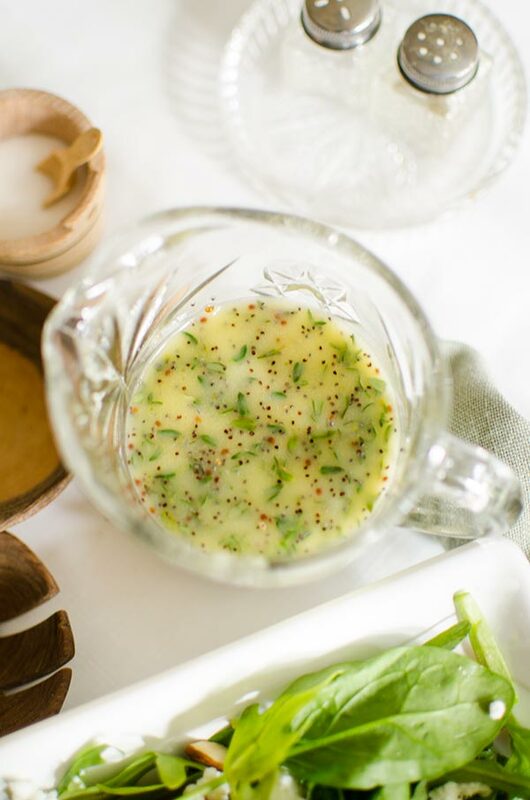 Plus a lightened up poppy seed dressing with fresh thyme. Can you ask for a better salad? I don’t think so! 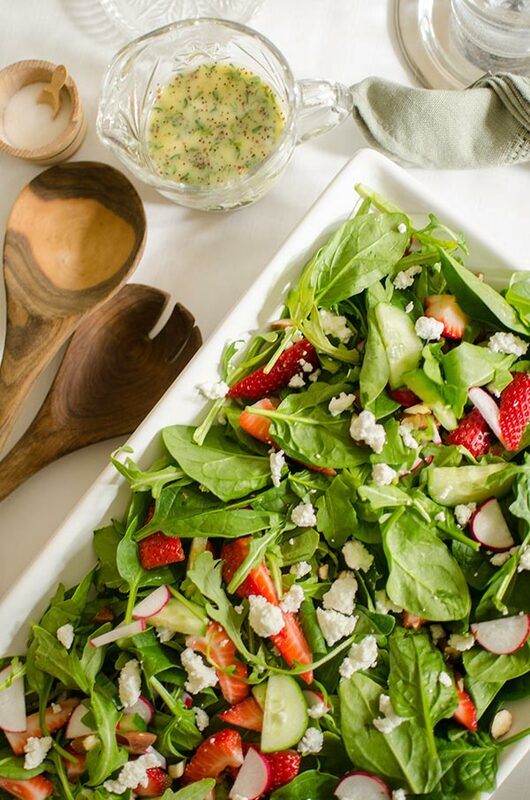 I made this poppy seed dressing a couple of months ago and then turned it into this strawberry spinach salad for our Easter dinner, and I’m so happy to finally be sharing it here. With local strawberries about to hit the market soon, this is the salad you should be making in June. In a medium bowl, whisk vinegar with sugar until dissolved. Whisk in mayonnaise, Dijon and salt. In a steady stream pour in olive oil while continuously whisking, to emulsify the dressing. Stir in poppy seeds and thyme. 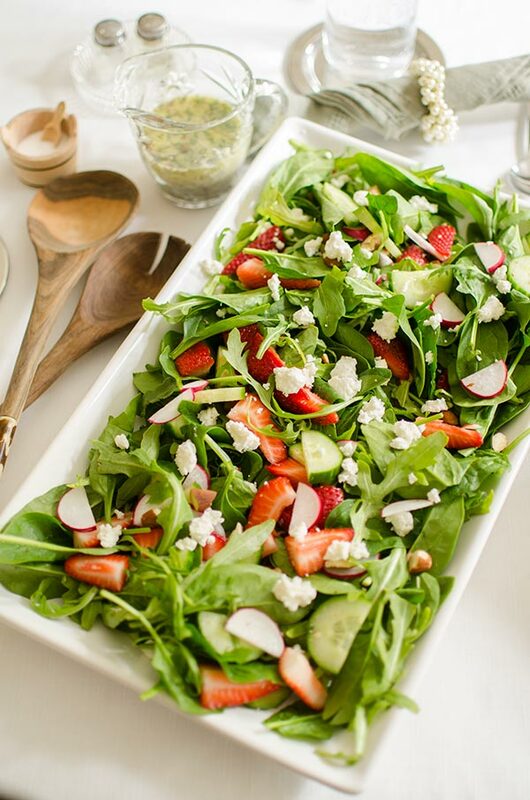 In a large bowl, toss spinach with arugula, strawberries, cucumber, radishes, almonds and goat cheese. Top with desired amount of dressing and serve. Cover and refrigerate remaining dressing. 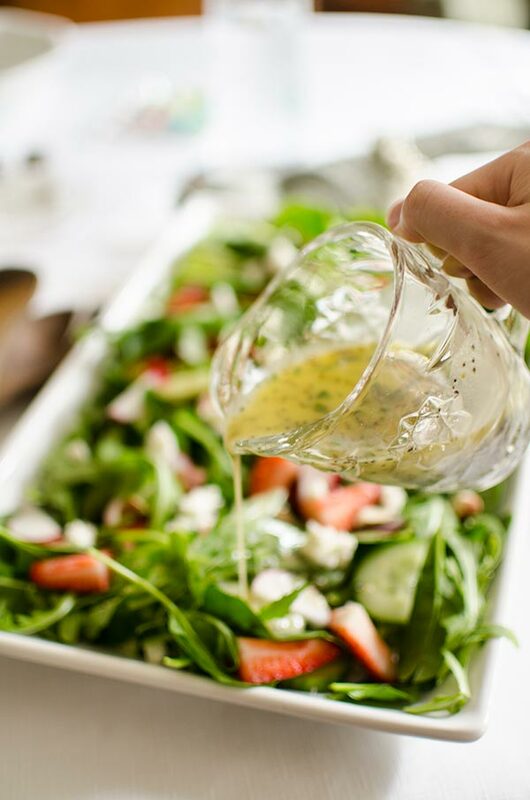 Let me know if you give this strawberry spinach salad with poppy seed dressing a try. This is an awesome & healthy salad! Loved it!